There is this fancy little hippy vegan chain here in southern California called Cafe Gratitude. I'm told that if you go to the Santa Monica location you will most likely run into some celebrities. Personally the only famous person I've ever seen at one of their 6 locations was myself (HA!). This is where Jason would say something about how I think I'm so funny and that I don't need him since I laugh at my own jokes. Lies! I need him, because it's way more fun when he laughs too! Basically, I've never seen anyone famous. I have, however, eaten some FANTASTIC FOOD! I LOVE LOVE LOVE their black bean burger (in the menu it is just called Magical. Did I mention they have super weird hippy names too?) and this vegan milkshake called the Decadent (hippy weird name again). The ingredients are coconut cashew ice cream, almond milk, cacao nibs, almond butter, coconut bacon (smoky salty unsweetened coconut flakes). Last weekend I decided to try making it myself. Make sure you only have a baby cup because this dessert is RIIIIICH. Also if you order one at Cafe Gratidue you should probably share it with someone because it is SUPER RIIIIICH as well! Make sure to eat a lot of vegetables, beans, unprocessed grains, and fruit with an occasional treat like this when you've been eating really good the rest of the time. As a reminder to all of us (including myself) this is a treat, not a health food, however it is a MUCH better choice and a PERFECT treat for your birthday or some other celebratory occasion! Namaste and may we all crap like a champ! Make Chocolate Brownie Fudge Bites, coconut ice cream , and unsweetened almond cashew milk ahead of time (following the individual recipes or purchasing something similar). Chop up brownie bites into 4 or 6 smaller pieces, add to blender with unsweetened almond milk and blend for 10-20 seconds or until the pieces have been broken up further. 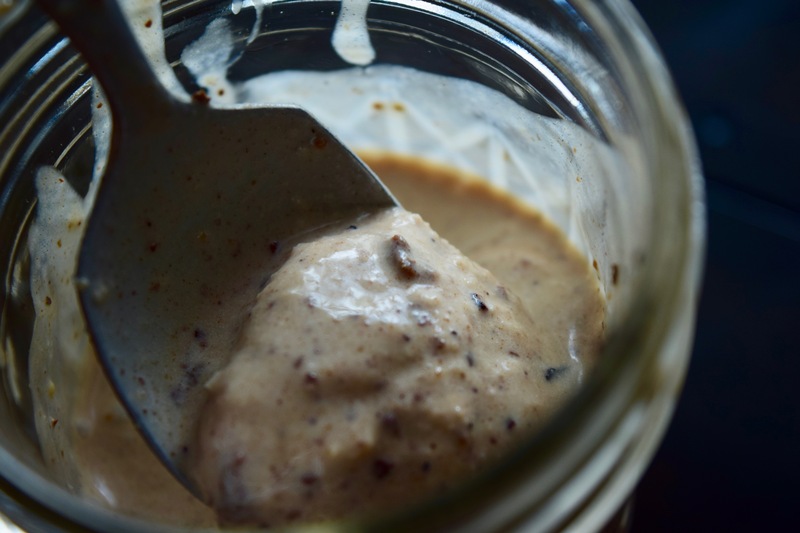 Add ice cream, cocoa nibs, salt, and coconut flakes to the blender and blend until combined (15-30 seconds).